Many of the most important food crops are examples of plants with monocot seeds including wheat, rice, and corn. Monocots have one cotyledon or embryonic leaf in their seeds differentiating them from dicots that have two. Monocot flowers have floral parts grouped in threes: parallel leaf veins, pollen grains with one pore or furrow and vascular bundles throughout the stem’s tissue. As a food crop grown for more than 12,000 years, agronomists believe that wheat originated in southwestern Asia. Iowa State University reports that today wheat is grown on more land area in the world than any other crop. Early colonists introduced wheat to North America around 1600 and it became an important U.S. crop when immigrants began growing it in the Midwest and Plains. Wheat is well adapted to harsh environments including windy areas and those too dry or cold for rice and corn. Today, the Russian Federation, Canada, the United States, France, China and India are the largest commercial producers of wheat. Flour for bread and pasta are milled or ground from wheat kernels. All-purpose flour comes from ground endosperm--tissue that surrounds the developing embryo of a seed--while whole wheat flour is made by grinding the entire wheat kernel. Straw, the remainder of the plant after harvesting provides garden mulch and animal bedding. The rice cultivated today descends from grasses native to Southeast Asia. Remains of cultivated rice dating to about 8500 B.C. were found in the Yangtze valley of China. World rice production, estimated at a record 434.3 million tons in 2008 to 2009, comes primarily from China, India, Indonesia and Bangladesh. Rice is grown in the United States in the southern states of Louisiana, Texas and Mississippi among others that have a long, warm growing season. The three main varieties of rice grown in Asia for consumption and export are indica, japonica and javanica. They differ mainly on the amount of stickiness. Commercial rice is further broken down into long-, medium- and short-grain categories. Rice may be grown in flooded areas where the plants extract nutrients from water or in soil that is cultivated and kept moist. Rice is harvested either by hand or mechanically. It is then cleaned, hulled, polished and packaged for sale. A close relative of commercial white rice, wild rice is grown and harvested in the United States. A sustaining crop for Native Americans, wild rice has a nutty flavor and coarse texture with a higher protein content than white rice. Corn or maize originated in the Americas. The grass plants from which corn evolved were cultivated more than 5,600 years ago by the Mayan, Aztec and Inca Indians. Through agricultural practices, corn became the product with kernels on ears consumed at picnics and dinner tables around the country. The United States is the leading producer of corn for consumption and export with almost 13 billion bushels in 2009. China and Argentina are also net exporters of corn. What is truly amazing about corn is its many uses in addition to being a food crop. Ethanol, an alternate fuel to fossil fuels, is made from corn. Historically, Indians wove corn husks into clothing and used them for mats, baskets and toys. 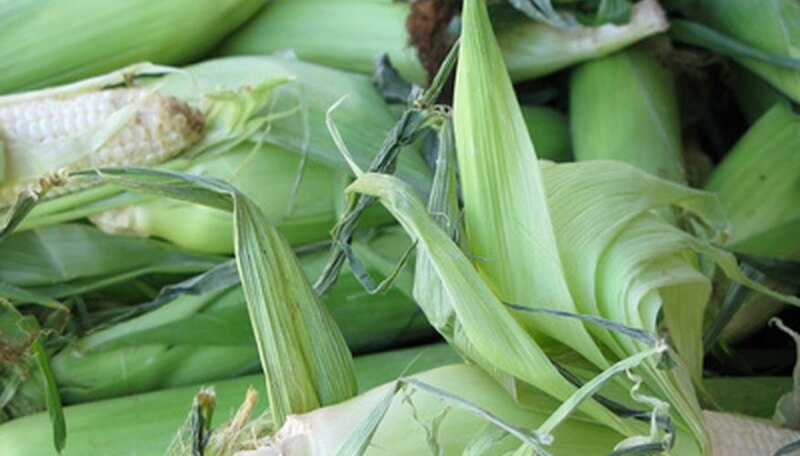 Corn is a major source of animal feed and is used in corn syrup, laundry starch, medicines and fabrics.